One of America's monumental fashion brands, Calvin Klein is currently in the throes of a much needed facelift courtesy of the visionary Belgian designer Raf Simons. 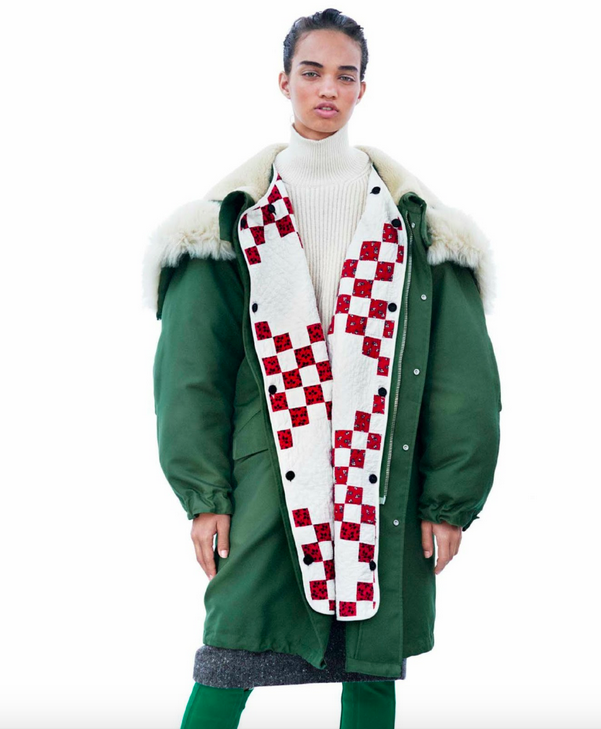 Perhaps it takes an outsiders point of view to engineer something as inherently American as the Quilt in to the most covetable outerwear of the season. Whether it be as the liner to a badass parka or the tailored body of a winter coat. At a time when the concept of what America means and what it means to be American is being questioned who doesn't want to wrap themselves in the safety of some honest, homespun fabric? Traditional quilts were painstakingly made by hand and passed from generation to generation, they told stories, they were given as gifts, they are cherished heirlooms. I've been reading the book "You Don't Have to Say You Love Me" by Sherman Alexie. It's made me cry and laugh but mainly he's given me a schooling on the collective and extended grief of a race. Alexie is Coeur D'Alene/Spokane Indian and he lays bare his very complicated relationship with his late mother Lilian. Amongst many other things his mother made memory quilts, a skill that was introduced to the Native Americans by the Colonialists as they moved west and made themselves at home in another persons land. Fashion as provocateur is not a new concept but to harness the timelessness of craft in this age of Twitter feels like a political statement.